Welcomed by a spacious entry foyer lined with hardwood flooring you are greeted by a Formal Living or Dining Room! Large eat-in Kitchen features 42 in cabinets, pantry and plenty of counter space with a center island that overlooks a spacious Family Room with gas fire place for those cold nights! Don't forget the bay window overlooking the large fenced backyard with maintenance free, ground level deck and patio for summer BBQs! Upstairs offers 4 bedrooms all with walk-in closets; including a HUGE Master Suite with vaulted ceiling, ensuite master bathroom with dual sinks, vanity, separate shower and soaking tub. Basement is an open canvas with rough-in! Half bath and main floor laundry off Kitchen! Oversized driveway leading to a three car garage!. All this is covered by a roof installed in 2016. 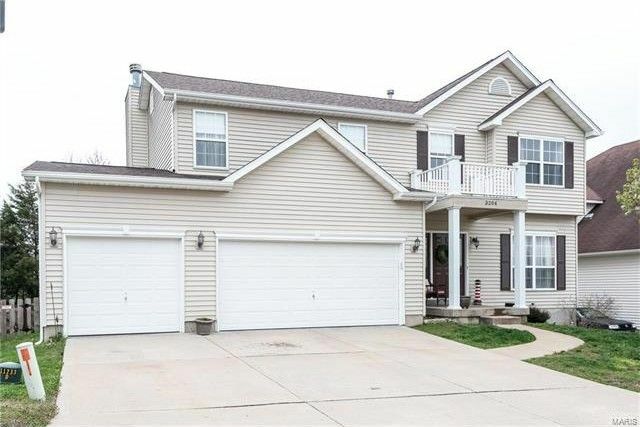 Photos don't do this home justice, schedule a showing today! !